Interested in funny, heart-warming, and inspiring real life travel stories? You will love reading Railonama. It is an anthology inspired by travel on the Indian Railways. The book contains stories from authors: Ajay Mankotia, Ambika Jindal, Anindita Deo, Anupama Sharma, Asiem Sanyal, Atul Sharma, Bala Parthasarathy, Chandrashekhr B. Kulkarni, Diane Caldwell, Dilshad Sanyal, Dr K.C. Jindal, Dr Roshan Radhakrishnan, Elayne Clift, Francois Juneau, Frank Joussen, Ganesh V, K.H.D. Karr, Ken Haigh, Kshitij Bisen, Lalita Bhatia, Malini Mathi Vathanan, Mary McCormack, Michael Clifton, Monali Ghatge, Nikhil Narayanan, Pradeep Chaswal, Raminder Rayar, Renuka Vishwanathan, Rohit Khanduri, Savita Mudgal, Shailender Arya, Sharada Balasubramanian, Sheela Jaywant, Sheila Kumar, Sijeesh V Balakrishnan, Snigdha Khurana, Sukanya Mohan, Sumedha Sengupta, Susmita Bhattacharya, Tessy Koshy, Varsha Halabe, Vibha Batra, Yogesh B Sharma. Anupama Sharma who loves traveling, conceptualized and created Railonama. She cherishes all her trips and is forever in awe of the beauty and wonder that pervades India. She is passionate about public service and is currently studying public policies at New York University. She is also the founder of pickafight.org, a non-profit in India and has committed all the proceeds she gets from the sales of the book for charitable purposes in India. 45 travel stories stitched together with one thing in common – the Indian Railways makes Railonama. Add to it a pinch of romance, some laughter, a dollop of memories and a dash of emotions - you are good to go. 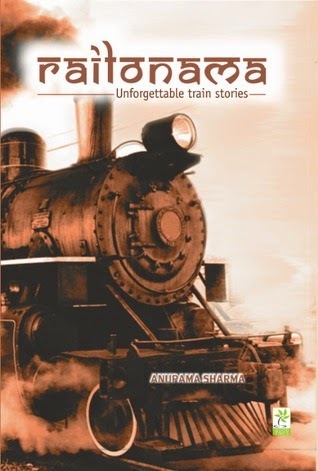 A perfect synonym for “slice of life”, Railonama is a book that will take you down the memory lane to those long summer vacations that involved travelling to Nani’s house in that train, staring out of the window trying to count the distance and falling asleep staring at the star studded sky. Over the years Indian railways has undergone a massive make over but what hasn’t change is the fact that it still remains one of the most preferred ways of transport for most of us. Be it the comfort or the cost effectiveness the reasons might vary. Like for me the reason now is the me-time they promise. A forced holiday no one can say no to! The best thing about travelling is the no-where stage it brings in between somewhere where you are neither here nor there , you are somewhere in between and that is what adds mystery to the otherwise dull lives. Coming to the book each and every story has a distinct flavor making this book a very enjoyable read. As you keep turning the pages you will feel your eyes get moist at some , while at some you will have to hold the book as you will laugh and then there are some which will make you dream about romance and the small joys of life that come along unannounced. These stories stand out in the book for their simple yet heart touching moments described with a beauty that rare and unique. At a time when the market is flooded with anthologies on various themes this one comes as a refreshing breath of fresh air, one that is an instant mood change. Recommended read for the magical factor of time transportation this book brings along! 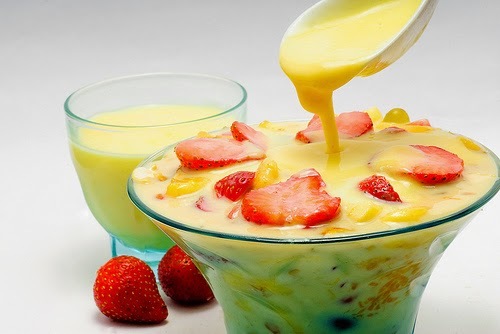 This book is like fruit custard - sweet, crunchy and one that always reminds us of our childhood, those summer vacations which were spend gobbling this up! P.S: This review is a part of the biggest Book Review Program for Indian Bloggers. Participate now to get free books!